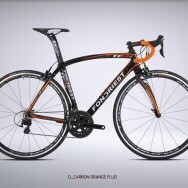 The Fondriest TF2 1.0 provides the maximum of design expression and of technical contents: this frame is on the forefront as far as its structure is concerned, with its important technical solutions. 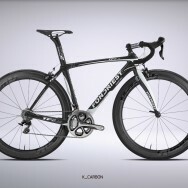 The fibre used is the 3K, in a prepreg 4×4 twill with a high module that provides the frame with a high level of stiffness, however, at the same time the special design of the seat stay provides a high capacity for absorbing the shocks. 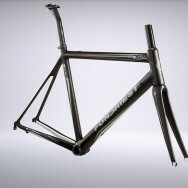 Following is a list of other key technical features for the Fondriest TF2: the fork, designed with angles opposite to current standards, differential head set, integrated cables system, integrated seat clamp becoming part of the shape of the frame, drop seat post with differential thickness, monolithic bottom bracket shell, carbon dropouts, 7 sizes available, setup for electronic group Di2 (on request). An important technical accompanied by a frame shape very aggressive and captivating. 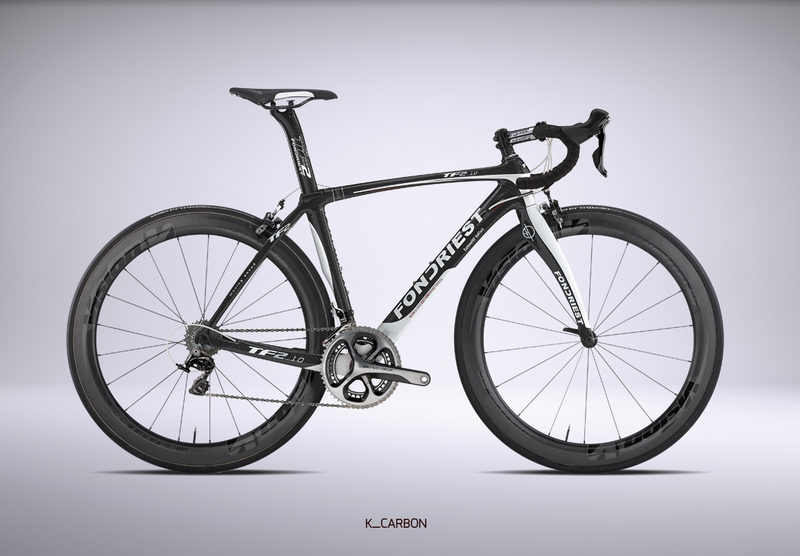 This frame offers performance on the verge of a competitive level, but at the same time easy to ride on every kind of course and in all weather condition.